"In a lot of cases, dogs bond so closely because they don’t have anybody else." 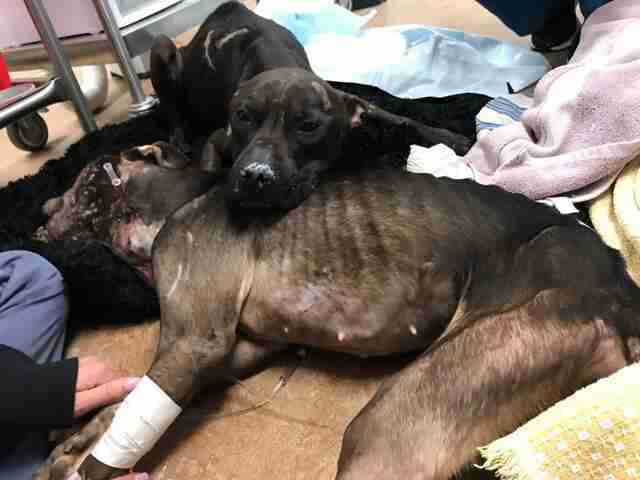 When two pit bulls were found dumped in a park just outside Philadelphia, people thought they were at death’s door. One of them, who would come to be known as Gracie, was cold to the touch. Her friend, Layla, was curled up close to her, as if trying to protect her. Officer Harper is tall and has tattoos all over his arms, a beard and a shaved head — but he has a special capacity to soothe dogs with what he calls his “girly 10-year-old voice.” And that’s the first thing he tried when he saw these dogs when he arrived at the park. "I got down on my knees and called in my girly 10-year-old voice,” he said. "And Layla comes over to me with her tail wagging but her eyes clenched, like she thought she might get hit." She eventually came close and accepted some pets on her nose and forehead. And then she ran back to her friend. Harper was eventually able to get close enough to both dogs to put his heavy police vest over them to keep them warm. Then he picked them up and rushed them to the vet, where he prepared himself for the worst. 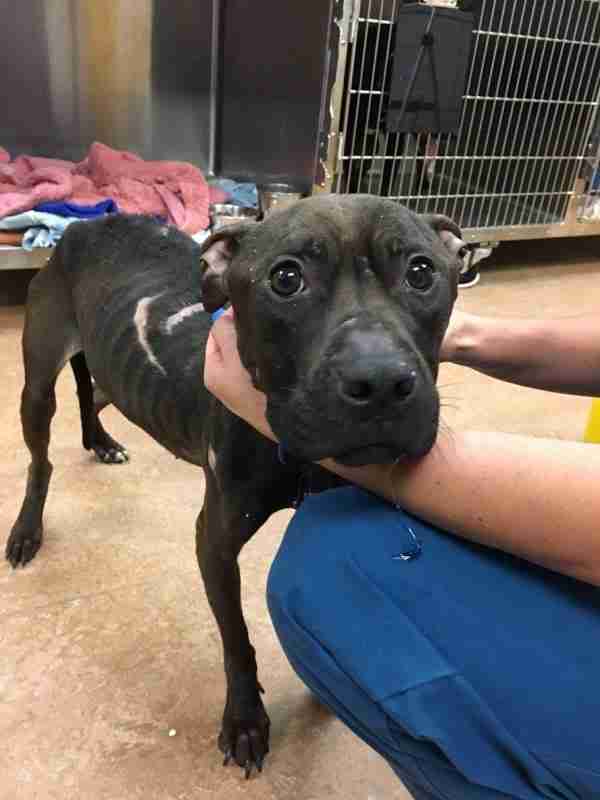 Gracie was so cold and weak, she could barely open her eyes, and Harper thought she might have to be euthanized. 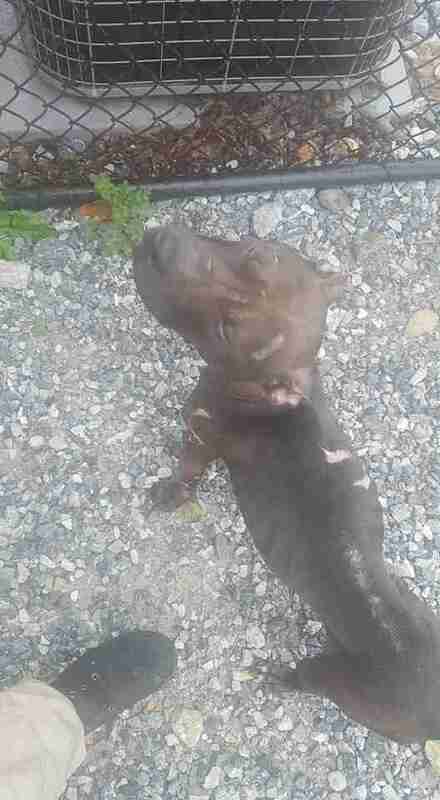 Both dogs were emaciated and covered in wounds and scars. 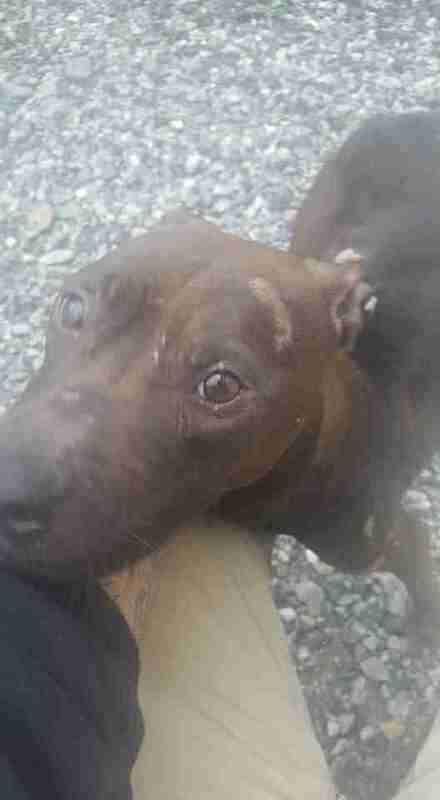 It was obvious to Harper that the young dogs had been used for fighting pretty much their entire lives, based on their wounds. 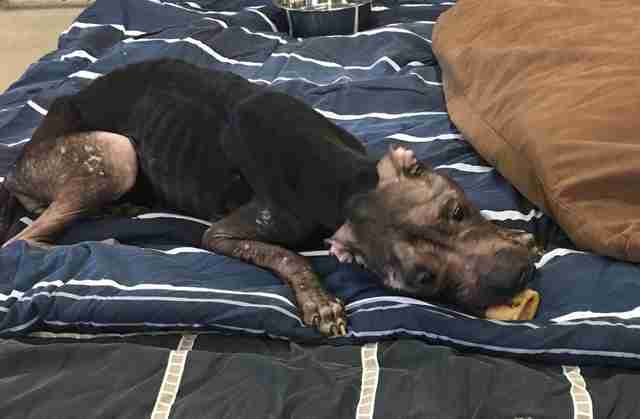 Harper has been devoted to rescuing dogs for years — he even got training as a law enforcement officer so that he could be first to the scene when police get reports of cases like this one. “Gateway crimes are included with animal abuse, including child abuse, domestic violence, drugs, guns," Harper said. The police usually aren’t specifically trained for dealing with animal cruelty. Harper and his cofounder started Justice Rescue with the aim to fill this gap. They trained in law enforcement and became special humane officers. Now they’re certified as crime scene investigators to help find abusers and provide district attorneys with evidence. Because of this, Harper has been able to help bust dogfighting rings, instead of waiting for the canine victims to surface somewhere first. Incredibly, Gracie started getting stronger. When Harper entered her room at the vet for a visit, she transformed. "Gracie saw me and actually stood up," Harper said. "She started eating out of my hand. She remembered me … She wanted to follow me around. I sat down and she sat right on my lap." 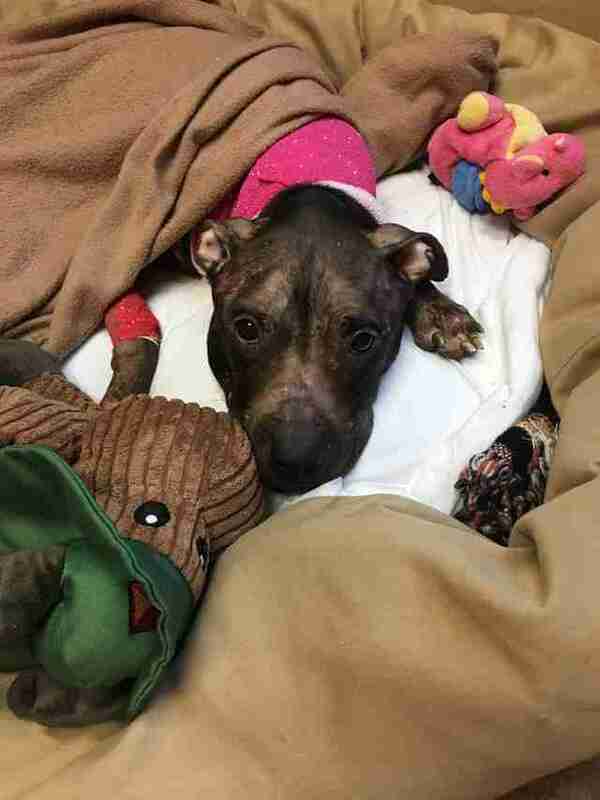 But then the next day Layla crashed and needed special care. She eventually recovered again, but both dogs are still in rough shape. Gracie and Layla will be at the vet for about a week. After that they’ll go to Harper who will help them rehabilitate, get them some basic training and help them learn how to trust again. Ultimately they will be adopted to the right home, when they're ready. 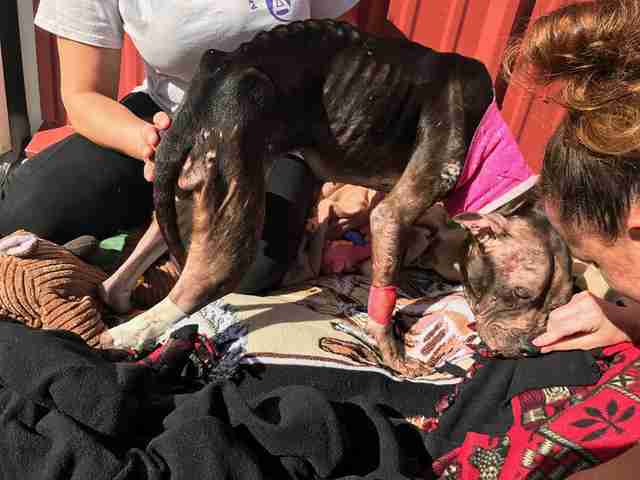 You can help fight animal abuse by donating to Justice Rescue. 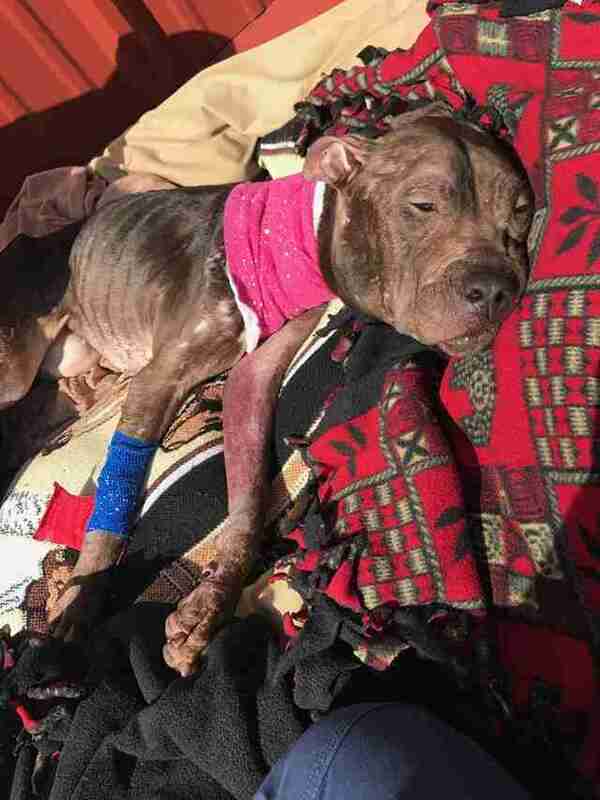 If you have any information about Gracie and Layla's case that could help with the investigation, you can contact Justice Rescue at 215-942-6363 or email abuse@justice-rescue.com.